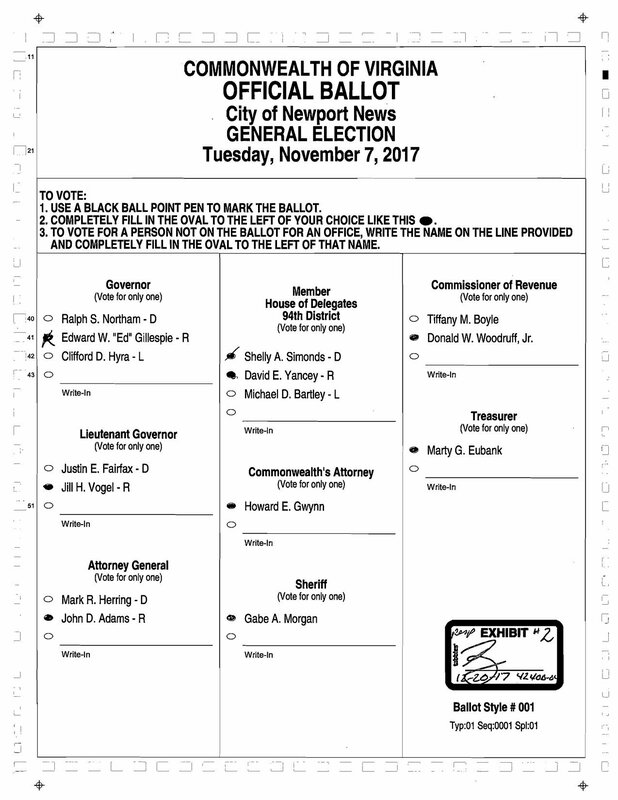 One Single Ballot in Virginia; Plus: Are Dems Over-Relying on Impeachment? An all too remarkable reminder that every vote - every single vote - matters. Or should, with control of the Virginia's House of Delegates and, potentially, healthcare for hundreds of thousands now at stake amid a remarkable "recount" in the state. Also, now that the massive GOP tax bill has been passed, are Democrats still relying too much on potential findings of the Special Counsel and the possibility of impeachment in 2018? Just after our show yesterday, the Commonwealth of Virginia completed a partial-machine, partial-hand "recount" of one of last month's House of Delegates races that, by one single vote, appeared last night to hand the victory to the Democratic candidate Shelly Simonds. One single vote. If Democrats pick up that seat, it would, in turn, end decades of Republican-majority control of the House, with a 50/50 seat split among Ds and Rs. Before the November 7 election, Republicans held a 66-34 seat advantage. So, after a two hour court hearing on Wednesday, it was decided by a three-judge panel that the race was/is a tie instead, with 11,608 votes for each candidate. That means control of the VA House — and the increased possibility of health care coverage via Medicaid expansion for nearly half a million Virginians — will be left up to a random draw to see who wins the seat. Also, a separate recount for a separate very close VA House of Delegates race is still pending, though Democrats there are suing for a completely new election, since at least 100 voters were given the wrong ballot in a race currently decided for the Republican incumbent — before the "recount" — by just 82 votes. Finally, we close with Bernie Sanders' late-night response to the passage of the $1.5 trillion tax bill in the middle of the night on Tuesday night/Wednesday morning in the US Senate, and how the GOP is now planning to come for Medicare, Medicaid and Social Security in order to pay for it.